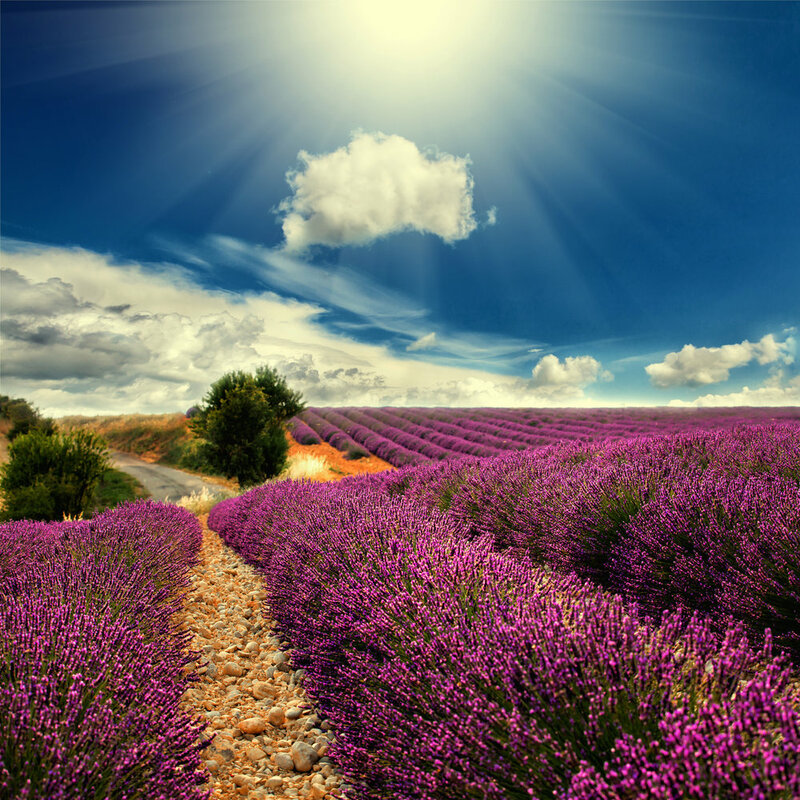 We specialize in France and Italy, but arrange trips throughout Europe. What our destinations have in common are uncommon vistas, local culture, in-depth history, sublime cuisine, and fascinating people. We’ll scope out the hidden gems within these regions, unearthing for you an up-and-coming winery, the neighborhood bakery, or a flea market where you can pick up antique maps and prints. Marketplaces bursting with oranges, lemons, lavender and melons; villages perched on craggy plateaus; crisp rosé; and mountainous Tour de France rides extraordinaire. Unfurling between the Mediterranean and the southern Alps, Provence is an intensely perfumed and diverse region embracing the UNESCO-protected Luberon Regional Nature Park, and some of France’s designated most beautiful villages, among them Gordes, Roussillon, Lourmarin, and the sculpted ochre landscapes dubbed the “Colorado Provençal.” Climbing the “Giant of Provence,” Mont Ventoux, dining at the two-star Michelin restaurant of master chef Édouard Loubet, then bedding down in his Relais & Chateaux La Bastide de Capelongue in the hilltop village of Bonnieux are all options here. As are a village cooking class in Séguret, visits to olive oil mills, wineries and the Saint-Rémy-de-Provence market, and rides through the Luberon’s evergreen oak and old-growth beech forests. This is a tougher cross-border biking expedition of up to 12 days through the alpine corridor of Switzerland, France and Italy. From Switzerland's global diplomatic hub just a few miles from France to the lemon-loving French Mediterranean town of Menton, the immense passes along the way reward with spectacular summit scenery. The historic route is classed as a “double espresso” endurance test by guides because of the daily distance and elevation tackled. It takes in 16 such climbs, including the famous mountain fortress of the the Col de l’Iseran south of Mont Blanc. At 9,069 feet, the highest paved pass in the Alps—a standard Tour de France stage—is a Holy Grail for many cyclists. Those who want to pedal all those passes can count on a total 416 miles and 52,493 feet elevation gain. Along the way, expect stunning glaciers, waterfalls and alpine lakes. On the rare occasions you’re standing still, two nights in a luxury hotel by the mountain-fringed lake of Annecy—the “Venice of the Alps” —can be built in, as well as cozy stays in alpine chalets. Food picks include picnics and fortifying bistro dinners of Savoie cuisine—gratins, fondues, and baked tartiflettes of potato, creamy Reblochon cheese, bacon, and onion. It’s really thanks to the Romans and their 60 BC grape culture that the vineyards of the Côte d’Or are now a World Heritage site. Itineraries can include a chateau stay near Dijon ahead of a ride south through Burgundy's green heart, the Morvan Park, where villages on the Santiago de Compostela pilgrim’s way mingle with woods and lakes. Pit stops include the two-star Michelin restaurant and luxury stay, Relais Bernard Loiseau, and lunch among candelabras and stained glass at the one Michelin star bistro of the Cistercian Abbaye de la Bussière. Bike paths trace the Burgundy Canal to villages such as Châteauneuf-en-Auxois, one of the 154 classified “Most Beautiful Villages of France” whose feudal castle sits high on a rocky spur above the waterway. 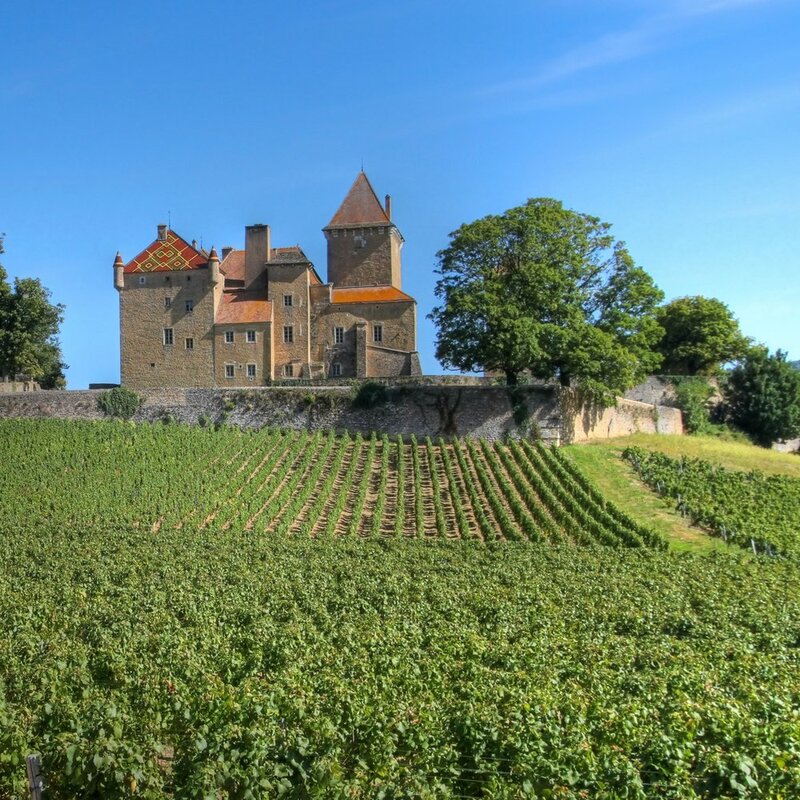 Consider pedaling the grand cru tourist route of the Côtes de Beaune, famous for Pinot Noir and Chardonnay, and stopping for lunch at the Domaine Comte Senard in the picturesque hillside village of Aloxe-Corton. Hot, hilly, exotic Andalusia lies in the far south of the Iberian Peninsula, colored by the ancient Moorish kingdom of Al-Ándalus. From the 8th to 15th centuries, Arabs infused the region with dazzling flamenco song and dance, jeweled palaces, and gardens. The high sierra mountains of Cádiz, Málaga, and Granada provinces take in natural wonders such as the rock formations of El Torcal de Antequera. 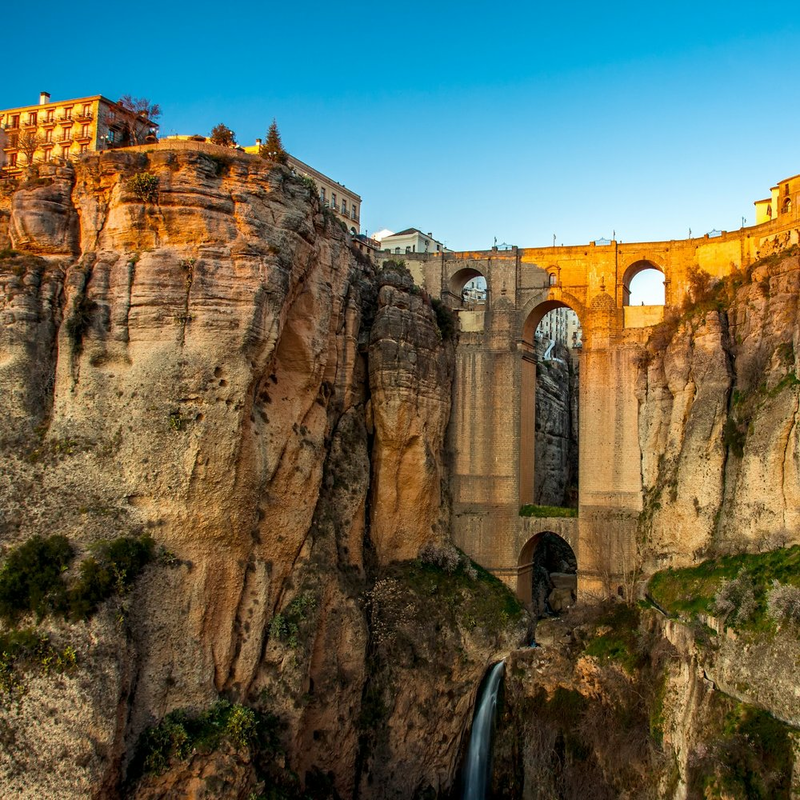 Cruising up 3,280 feet on largely car-free roads, you'll no doubt learn the virtues of sangria as an antidote to the region’s sizzling summer heat, with summer highs of 120° F. Rewards can include a luxury parador stay in a renovated convent, tapas bites for lunch, or a gastronomic dinner in Ronda, whose ancient Arab medina plummets the El Tajo gorge and Guadalevín river valley. Moorish castle ruins dot the Route Caliphate, an ancient trading way leading to the 14th-century Alhambra palace-citadel in Grenada—a UNESCO marvel of Islamic art and architecture, mosaics, and arches. Here you can stay in a palace hotel inaugurated by King Alfonso XIII in 1910, set out to conquer the 11,400 ft. Sierra Nevada peak by bike, and wind up with a dip at Granada’s Arabian baths, Hammam Al Ándalus. Sandwiched between Italy, France, and Switzerland, Piedmont—literally “the foot of the mountains”—boasts hearty food and star alpine scenery. 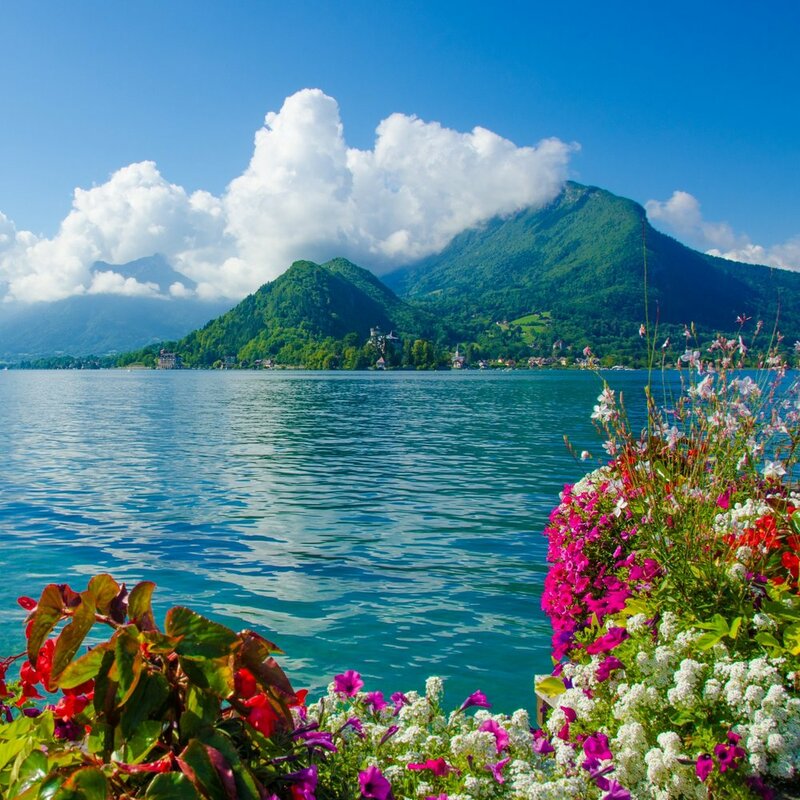 The region is naturally cosmopolitan thanks to the days of the Dukes of Savoy who ruled over a trans-Alpine dynasty. Thus the intensely friendly locals speak Piedmontese dialect, a quirky cross of Italian and French. It was here in this land of famous Nebbiolo red wine grapes (mother of both the Barolo and Barbaresco local drops), of creamy robiola and tangy Grana Padano cheeses, and of prized white tartufo truffle, that the slow food movement was born. Between biking and hiking, we can program wine tastings galore, a cooking class and overnight stays in a fully self-sufficient agriturismo farmhouse, and a visit to an alpine cheesemaker. 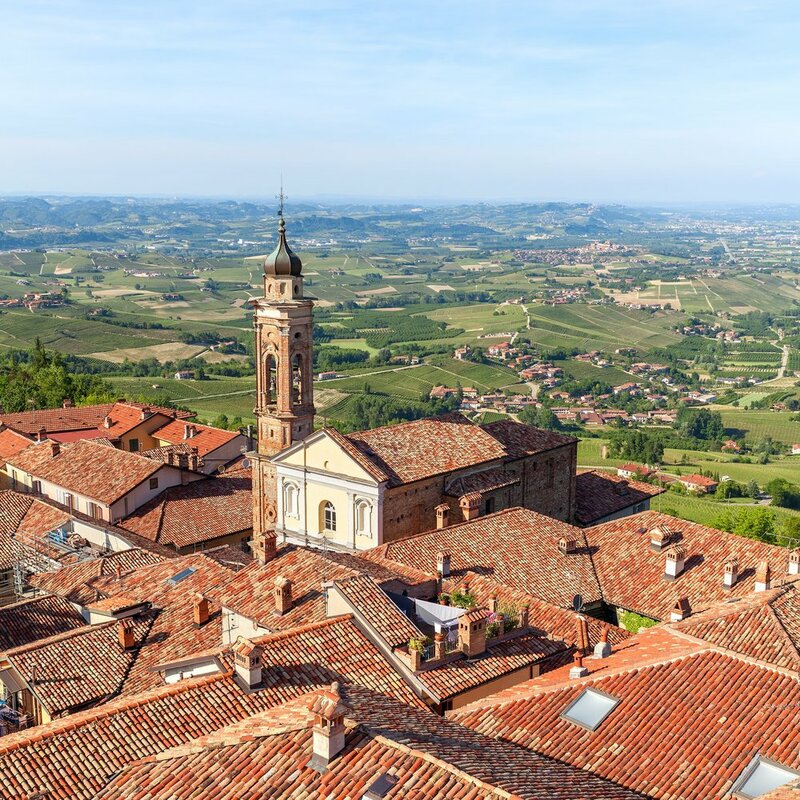 With over two-thirds of Piedmont’s territory composed of mountains and hills, steep climbs often over 10 percent gradient will ensure you deserve that next meal. The Dordogne River flows through the neighboring Lot and Dordogne regions of southwest France framed by craggy limestone plateau and spectacular outcrops, oak and chestnut woodlands, turreted bastions, and medieval hamlets. The town of Rocamadour’s World Heritage cluster of sacred clifftop sites is hemmed in by ravines and grottoes, while très goosey Sarlat boasts lovely stone houses and marketplaces plump with Perigordian goodies—truffles, foie gras, and walnut cakes. The Dordogne is home to exceptional prehistoric sites: The newly opened Lascaux 4 cave showcases animal paintings and engravings dubbed the “Sistine Chapel of prehistory.” A trip down into the Gouffre de Padirac leads through underground caves by river. Other possible adventures include canoeing the Dordogne or tackling the via ferrata and crazy garden mazes at the 17th-century Château de Marqueyssac, which overhangs the river from a 426-foot spur. You might also like to savor magret de canard at a ferme-auberge, or settle in the lap of luxury at the river-facing Château de la Treyne, a Relais & Châteaux whose 14th-century cachet goes down well with a local drop of Bergerac. In his posthumously published 1958 masterpiece, The Leopard, Sicilian prince Giuseppe Tomasi di Lampedusa evoked all the foreigners who’d ruled over his native isle, arriving “from every direction." Ancient Greeks and Romans, Arabs and Spaniards all left a deep footprint on the Mediterranean’s largest island, suspended in blue off the tip of the boot of Italy. Itineraries can include rides to the Val di Noto UNESCO sites in the southeast corner of the island—the Baroque cities of Ragusa and Noto, rebuilt from their medieval ruins after the deadly 1693 earthquake. Or perhaps a ricotta-making demonstration and 50-mile loop ride to the 4 AD Villa Romana del Casale world heritage site, before winding up in a luxury agriturismo, castello or palazzo hotel. Meals of typical Sicilian arancini rice balls, sardine pasta con le sarde, and sweet ricotta-filled cannoli will do wonders for energy levels. You might also like to visit Catania’s fish market, explore the Greek theatre of Syracuse, and hike the lava-sputtering, 10,900-foot Mount Etna with a local vulcanologist, before retiring for the night in a Dominican abbey hotel on the cliffs of Taormina.